My WineRoute -ePDF is an all-inclusive guide featuring the top 100 wine farms of South Africa in an easy-to-use alphabetical format. Each wine farm’s write-up includes the important core information (operational hours, types of wine and location) as well as a beautiful snapshot of the farm along with interesting facts about the owners, winemakers and history. There is also a special section where the top judges in the world have rated the wines according to finest quality, the best value and the best wine cellar in general. What makes My WineRoute special is that it contains beautiful, detailed maps of the winelands pin-pointing every cellar, important landmark and place of interest that the reader might be interested in. You can also select one of the recommended scenic drives, day trip options or an itinerary for when your time is limited as suggested by the authors of the book, who are all esteemed wine route experts. Of course it’s not all about the wine, and My WineRoute also includes a thorough guide to restaurants, accommodation, markets, picnic spots, galleries and museums. There is also a complete wine calendar included to make sure you plan ahead. 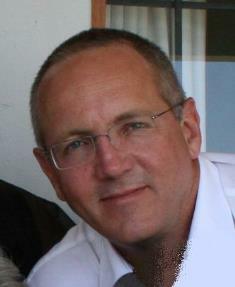 MIKE FROUD is a freelance editor, writer, copy-editor and proof-reader based in Cape Town. He is the editor of Top Wine SA website and blog and manager of the SA Wine & Cellar Classifications. He is also the editor of South Africa’s Pinotage Wine Guide and managing editor of the Icons book showcasing the results of the Trophy Wine Show. Previously edited a number of regional newspapers in Johannesburg, founding editor of the Wine magazine (SA) and books including the Pocket Guide to Wines & Cellars of South Africa, the Best Value Wine Guide and the SA Winelands Map Book. Be the first to review “My WineRoute -ePDF” Click here to cancel reply.